I fondly recalled his X-Men debut in Mutant Massacre, I was around for his brief rehabilitation before Onslaught, and I was reading him in a modern team-up with the X-Men at the start of Mike Carey’s run, but I was missing a lot of connective tissue in between. That lead to many questions. How did he get from a random Iron Fist villain to an X-Men villain? How long was he employed by Mister Sinister? Why did we think he was Wolverine’s dad? What happened that made him suddenly reliant on psychics in the early 90s? Did he really turn good in the mid-90s around when he helped out in Phalanx Covenant, or was it just an act? What exactly is his relationship with Mystique? Did he ever have an adamantium skeleton, and if he did where did it go? And, most confusing to me, did he actually have anything to do with the Weapon X program that spawned Wolverine? This guide answers every one of those questions and more. It’s written in the style of the Guide to X-23, which means I run through the narrative of every Sabretooth appearance ever published. That took an extremely long time to do – about as long as my Guide to Wonder Woman, and Diana has been around since World War II! Along the way, I learned how Sabretooth was an unremarkable flunky for the first decade of his life as a character. One time he was beaten to a bloody pulp by Black Cat! I also realized that his mission to hunt the Morlocks drove a lot of his early X-appearances beyond just Mutant Massacre, including a terrific showdown with Archangel in X-Factor. Creed’s onoging Morlock hunt flowed through his early appearances in Wolverine and New Mutants until the introduction of the Weapon X Program in Marvel Comics Presents coincided with the invention of Logan’s Team X past, which forged a more permanent canonical connection between Creed and Logan (other than just the hints of their potential familial relation). I also finally cleared up my confusion about Sabretooth’s 90s journey from his mini-series to X-Men Unlimited #3 to X-Mansion to Wolverine’s lobotomy on the edge of Age of Apocalypse to X-Factor. It turns out that his brief flirtation with being good was incredibly well-coordinated across four different ongoing x-titles (I had forgotten about the bit in X-Force! ), and if you read them in order you truly get a coherent story about how Victor Creed may have been edging toward permanent rehabilitation before Logan screwed things up with his middle claw. 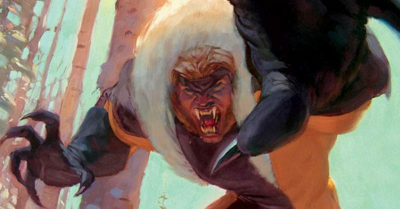 In taking a broader view of Sabretooth’s history, his character arc becomes much more clear. While it’s not as epic and well-coordinated as the tragic rise, fall, and return of Magneto’s villainy, Sabretooth’s story is surprising coherent when taken as a whole. His brief stints of altruism all make sense in context, because in the end they had all been self-serving up until his inversion in 2014’s Axis and subsequent membership in Uncanny X-Men and Weapon X. Originally, I thought a Sabretooth page would make sense as a home to both of Marvel’s Weapon X ongoings, which are a rare gap in my X-Men team book coverage that’s relegated only to my “Other Ongoing Series” guide. Yet, the more I learned about Creed’s history and the Weapon X program, the more it became clear that Weapon X deserved a guide all on its own. Neither Weapon X ongoing title was really Creed’s story, even though they both featured him heavily. Also, the concept of “Weapon X” became so much more than the program that spawned Wolverine, thanks to Grant Morrison expanding it to “Weapon Plus” in New X-Men, connecting it all the way back to the origin of Captain America! 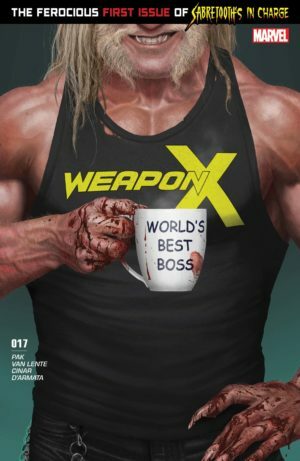 The trickiest part of the Weapon X guide was figuring out exactly who was a part of the programs for Weapons I through IX. A lot of seemingly reliable internet sources are totally wrong on this and based entirely in conjecture, like ones that say Luke Cage was part of the Weapon Plus program! I managed to research and debunk a few of these misleading claims with help from Zack at Xavier Files and the X-Plain The X-Men community. As a result, I’m pretty certain that the bulleted list of Weapon Plus participants at the top of the guide is the most accurate one on the internet at the moment. The Weapon X guide also became a convenient home to Greg Pak’s Weapon H, a combination of Wolverine and Hulk. 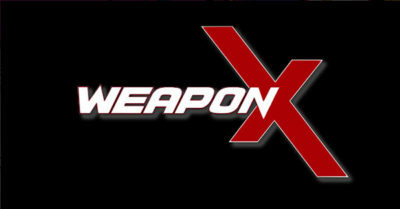 While I know that sounds gratuitous and super-lame, Pak somehow recaptured the essence of the inspiration behind Barry Windsor Smith’s original “Weapon X” story to follow how a new unwilling recruit might play out if he had a stronger connection to the world he left behind. It’s a book I never expected to like but wound up loving. Want access to this guide today? Because this guide is part of my core coverage of every X-Men comic book, it’s available to all Patrons for as little as a $1/month pledge to cover CK’s hosting expenses. Current Exclusives For Crushing Cadets ($1/month): 12 Guides! Current Exclusives For Pledgeonauts ($1.99+/month): 38 Guides! New For Patrons: The Definitive Guide to Marvel’s Domino – star of Deadpool 2!